Welcome to The Romain Maude and Fox's latest mens jacket. 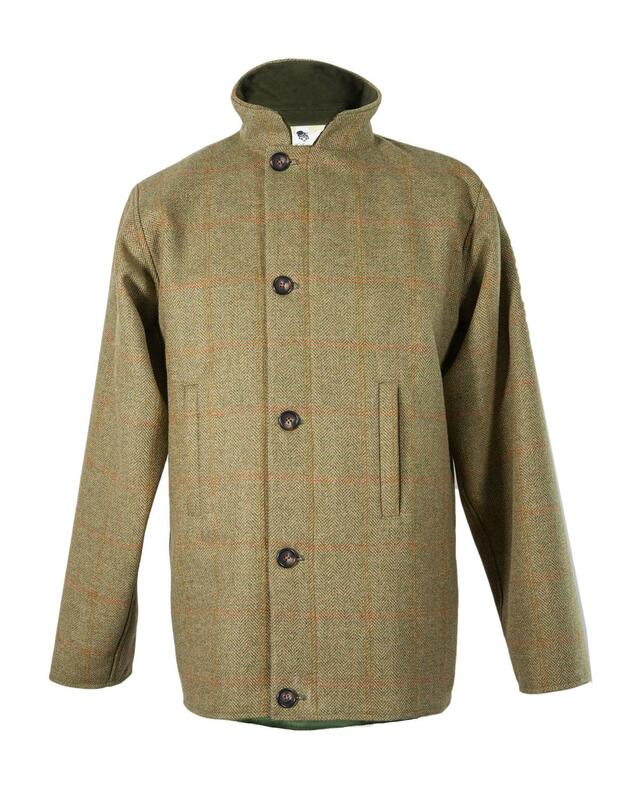 Made with a fresh coloured tweed with a subtle orange and yellow wide overcheck. The tweed is impregnated with teflon - great if you get caught out in a shower. Designed with a neat fairly slimline fit with a satin lining with moleskin facing. The Romain has a button flap detail, short stand up collar, handwarmer style pockets without bulk so they do not ruin the line of the jacket. Dips very slightly at the back. The Romain is definitely a nod to the Maude and Fox strapline 'Urban Country Chic ' and would look happy in town or country.